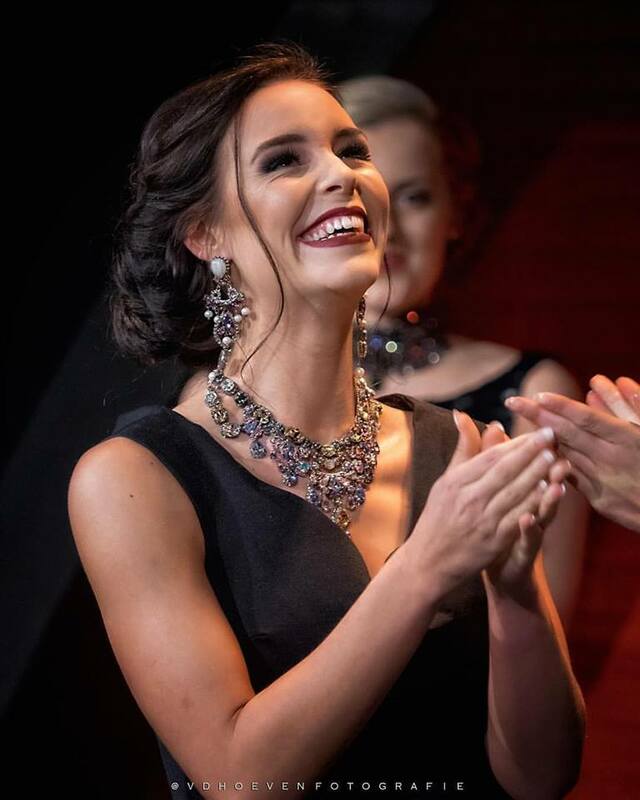 After a very exciting show in Studio’s Aalsmeer where the finalists of Miss Grand Netherlands 2017 showed their skills, Kelly van den Dungen was crowned Miss Grand Netherlands 2017. The people in the audience and the one who watched the livestream on Facebook were very touched by the contestants when the gave their speech with their opinion on the Stop the War and Violence campaign. It showed the diversity of the girls. Robin and Stefan of 12 Months of Beauty got many compliments from the people about the speeches. The girls were really well coached on how to speech in public and how to touch and inspire the people. Kelly will be prepared by the the 12 Months of Beauty team for the Miss Grand Finals in october in Vietnam. Kelly is their 5th girl and they are preparing Kelly to be one of the top 5 finalists or even the next Miss Grand International. For Kelly it was a double celebration as she was also awarded with Miss Grand Photo title. When she was crowned Miss Grand Netherlands she was crying. She told that she tried so many times to represent the Netherlands at a grand slam pageant and every time she just missed the crown. The lovely Bente Vrieling became 1st runner-up, while Laura Ghobrial was awarded with the 2nd runner-up title. Miss Grand Model became the beautiful Melissa Oeges.